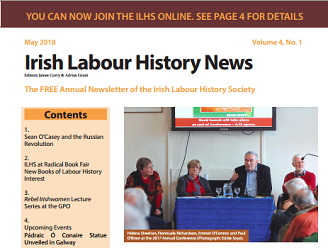 ILHS Membership Subscription for 2019 is now due (and also open to new members). If you've previously paid by cash, cheque or postal order, you can now pay online via PayPal here. Membership for 2019 includes Saothar 44, the latest edition of the society's journal. 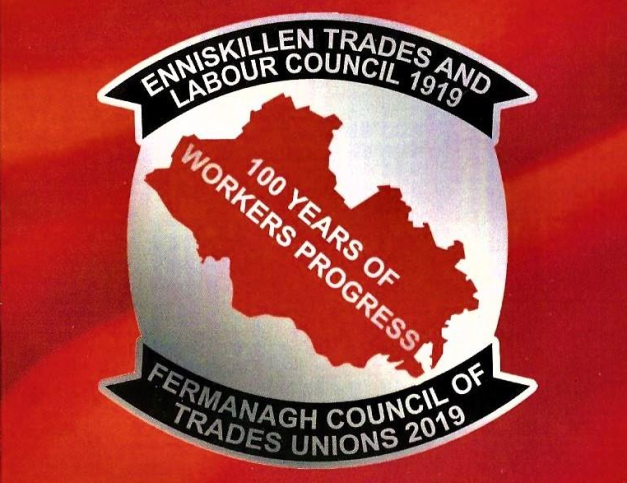 The Fermanagh Council of Trade Unions are celebrating their centenary in 2019 with a number of events over the course of the year. Check out the link below for a leaflet (pdf) detailing the events and some of Fermanagh's Labour History. Here is the speech by Brendan Halligan presented at the history seminar in Wexford to mark the centenary of the birth of Brendan Corish. 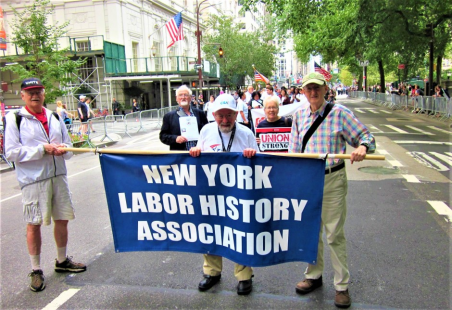 Fraternal greetings to our American Trade Union Comrades on the occasion of the celebration of Labor Day 2018 from the Irish Labour History Society. Leaflet distributed at the Parade. Bumper 1916 edition of Saothar (Vol. 41) is now available to purchase online. Co-Edited by Francis Devine, Sarah-Anne Buckley and Brian Hanley, Saothar 41 covers a range of themes relating to labour's place in the 1916 Rising, including the role of women; the legacy and contested ownership of the Rising; gender and class; memory and commemoration; Belfast Trades Council; the ICA; the Workers' Republic; and the response of international radicals to the events of 1916. Purchase Saothar 41 online here. 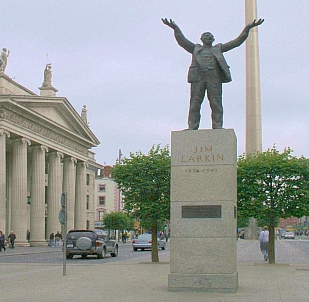 The 26th of August 2013 marked the anniversary of the start of the 1913 Lockout and Strike. 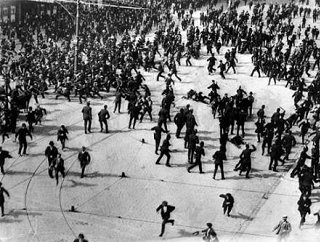 A chronology of events from this date in 1913 to December 1913 & January 1914 when the striking workers gradually began to return to work. The Lockout ended by degrees.